The No. 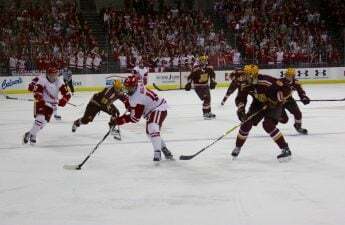 1 University of Wisconsin Badgers are off to a hot start in the WCHA Playoffs yet again. 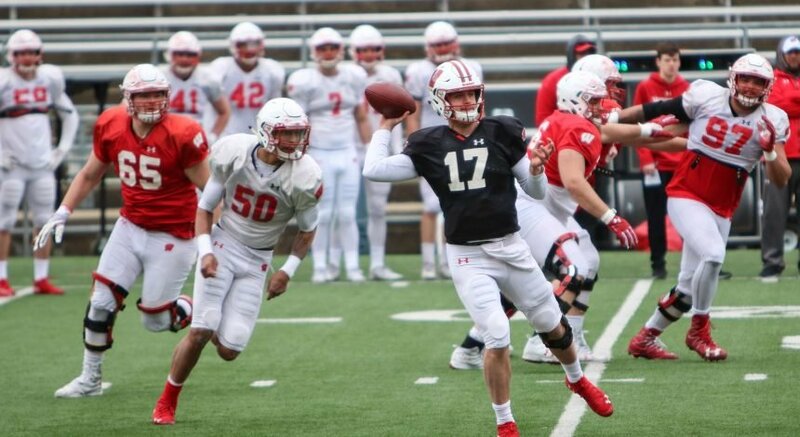 The Badgers outscored Minnesota State University by 13 total points over the weekend, winning Friday’s game 7-0 before turning around and downing the Mavericks 6-0 on Saturday. Goaltender Ann-Renée Desbiens notched her 14th and 15th shutouts of the season. It is the fourth time the senior star has refused to allow a single goal in an entire series. Senior Sarah Nurse led the Badgers with her third career hat trick. She now has 23 goals and 23 assists on the season. Her 46 total points is a career high for Nurse. Head coach Mark Johnson was thrilled with the way his team has been playing heading into this weekend. Johnson and the Badgers are looking to win their third straight WCHA tournament this year. To do that, they will need to have another strong showing against the University of North Dakota this weekend. 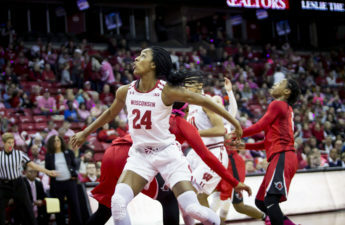 Wisconsin won all four games against the North Dakota team in the regular season this year, but the Fighting Hawks narrowed the competitive gap in their last two games against UW. Johnson has been especially impressed with junior forward Emily Clark. She totaled 6 points in the weekend series against the Mavericks and now has 42 on the season. Clark started Sunday’s game with a goal just 32 seconds into the first period. Clark looks to continue her hot streak against NDU this weekend. The Fighting Hawks come into the game off a series win over Ohio State in the previous round. 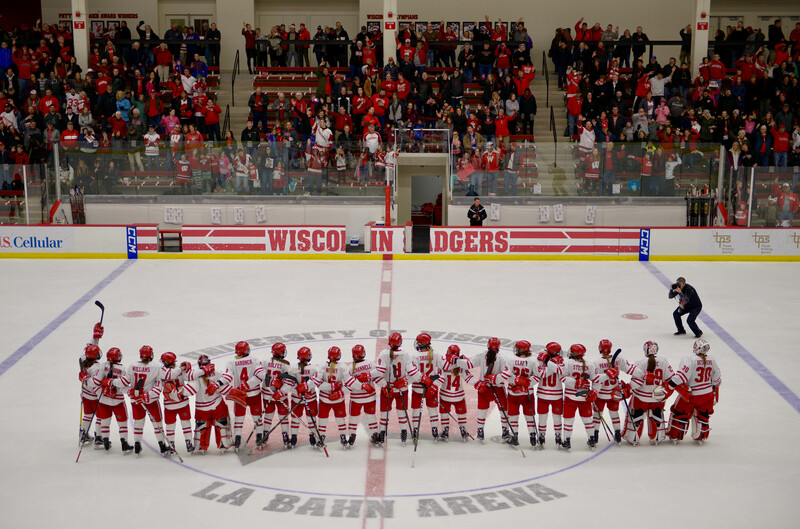 Both the Badgers and the Fighting Hawks will travel to Minneapolis this weekend for the semifinal round of the WCHA Final Face-Off Tournament. The teams will battle it out for a chance to play the winner of the University of Minnesota, Twin Cities/Minnesota, Duluth series in the championship game Sunday. The first puck drops at 2 p.m. Saturday in Minneapolis.